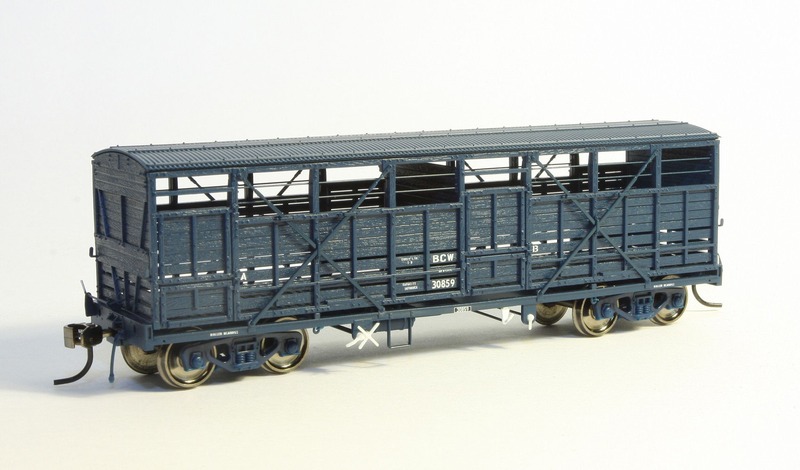 Yesterday I received my order of BCW cattle wagons from SDS Models. WOW!! Another superb RTR model. They should weather up nicely. 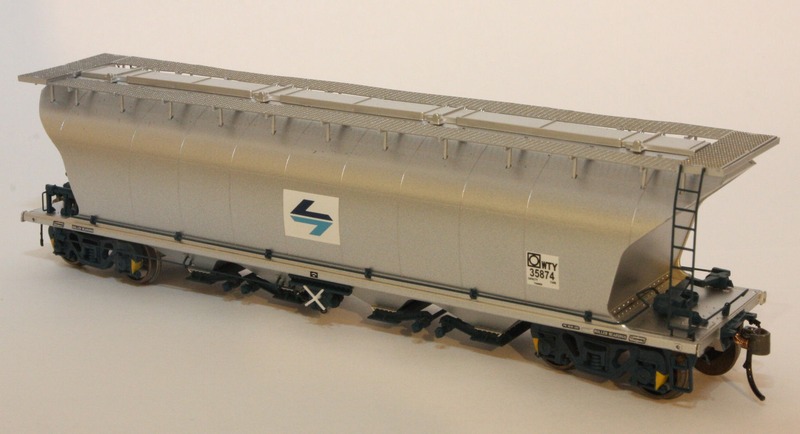 Today I received my order of OCY container wagons from SDS Models. Once again, this manufacturer has produced a fine model. The detail is superb and decaling is crisp. Things are still progressing well on the tracklaying in the Down storage yard, with about 50% now complete. I had forgotten how much I enjoyed the tracklaying and turnout building when I was doing the Up yard. 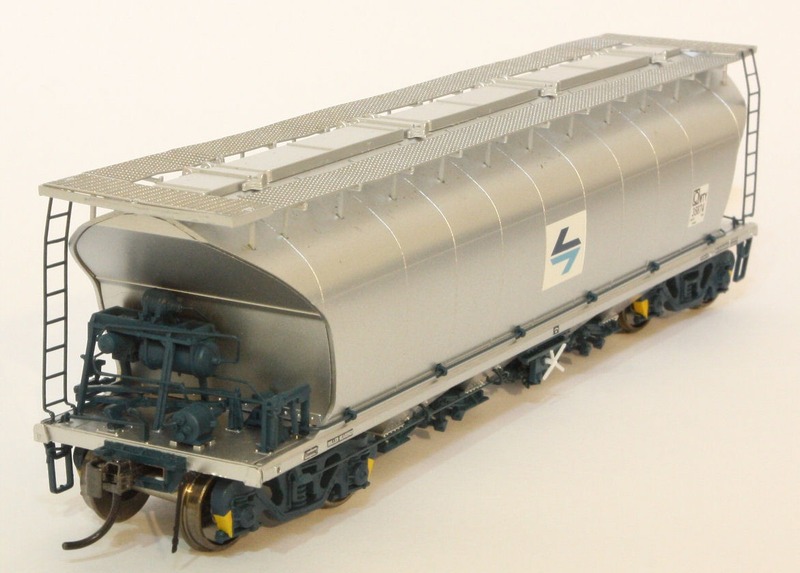 Today, my SDS Models BP rail tank car arrived. This model had been reduced in price by SDS to just $44, owing to some less than perfect assembly issues at the factory. Read all about it here. 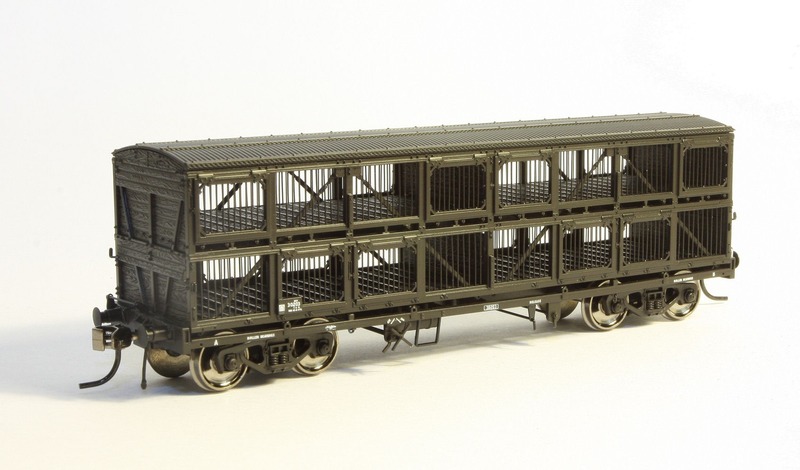 I still have an order in for another six wagons, but by the sounds of it, these will be delayed a bit more. Upon examination, all I can find wrong with it is the walkways are not straight and some of the shunters’ grab handles were slightly bent. Nothing too dramatic as far as I’m concerned and easily fixed. Anyway, the detail on the model is absolutely superb. The lettering and painting is crisp. The dome detail is also very nice. See for yourself. It should weather up nicely. Click on the pics for a larger version. Well, Bowen Creek is all packed away again in the trailer ready for the trip south to Sydney for the Epping (Thornleigh) exhibition this weekend. Over the last week or so, Andrew and I have been busy weathering some of our rollingstock. 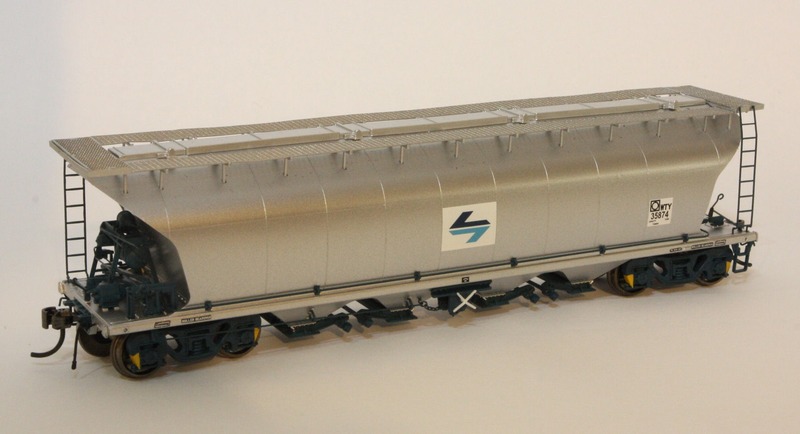 I have done some Austrains’ WHX’s, Trainorama’s BWH’s and OnTrack Models’ louvre vans. I won’t go into much detail on how the weathering was done in this post, but will leave that to a later time. Here are some pics of a few of the wagons. Use your browser’s BACK button to come back to this page. Any fellow bloggers who are attending the show, make sure you come up and introduce yourselves to Andrew and I.
Modelling resumes …. at last!! Since setting up the modelling bench a few weeks ago, it inspired me to finally get back into some modelling after around a nine month lay-off. This was a self imposed break, as during this period I moved house and did a lot of work around the new place, so modelling took a back seat for a while. The current project is to work on building some rollingstock to use on Bowen Creek at it’s next showing, whenever that may be. The first bit of detail to be added was the extra bracing across the top of the end hopper bays. On the prototype, this is made of angle, probably around 3″ x 3″. I used the smallest brass angle available from Special Shapes which is 1/32″. The angle was cut to length for a snug fit between the sides. 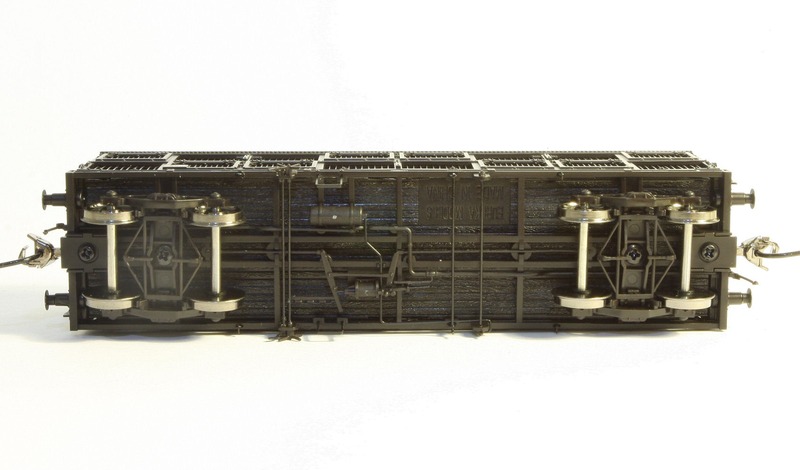 These were located halfway along the end hopper bays between the moulded partition and the end of the wagon. Holes were then drilled through the existing dimple holes where the sides fit on. Short lengths of brass wire were then glued in the holes to protrude a short way through into the inside of the hopper. The brass angle was then glued on top of these bits of wire. Some slight bends were put into the brass to simulate damage to the angle which often occurred. The next job was to fit the main brake pipe. This is quite a prominent feature on the end platforms under the hopper slopes. This was quite a tricky piece of bending, but it ended up looking the part. The holes through the end platforms were located and drilled, then a length of 16 thou wire was bent to shape in one piece. This was then test fitted and any adjustments made so it sat in the correct place. The pipe on the prototype is secured to the angle bracing on the hopper via saddle type clamps. I decided to try and simulate these by adding small styrene blocks against the moulded angle on the hopper and carefully drilled 0.3mm holes and secured the wire using fine styrene rod bent into a U shape and MEK’d into place. 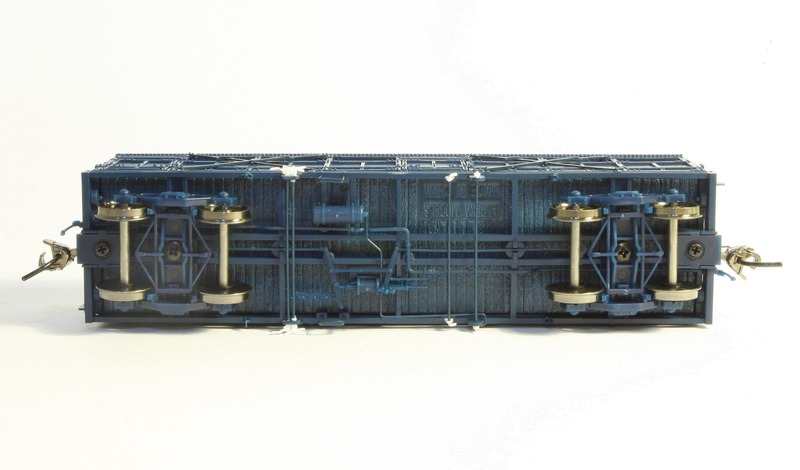 The next things that were modified were the shunters’ steps. The kit comes with them moulded on the sides. They are not a bad casting actually, but could be improved. After some scaling with a ruler off the photos, some suitable brass strip was located and bent to shape. Holes were drilled and then the steps were pinned to the sides with 0.4mm brass wire. Using only superglue is not an option, as these are prominent on the sides of the hopper and would be prone to breaking off if just glued. Pinning makes a very strong bond without any glue. Currently where I’m up to is having carved off the moulded Grade Control and Release levers and glued a piece of styrene angle in their place in preparation of fitting better detail items. I’m trying to fit as much as possible prior to attaching the sides to the hopper, as I want to paint the hopper sub-assembly first, as I think it might be tricky to get the paint properly covered in behind the side bracing if this was attached. I think this will be the next stage, as the next range of detail items that need to be fitted, require the sides to be attached. Well, that’s it for now. Will post more photos as work progresses.